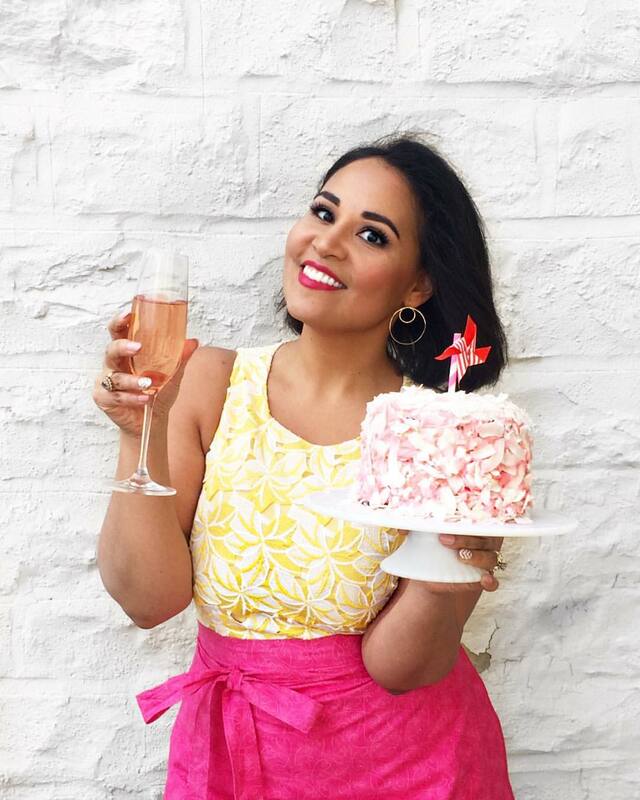 You guys know I love dessert and that it absolutely is a MUST after my meals, but note that this doesn't always have to mean a decadent slab of cake. Sometimes on hot summer days, all I want is a touch of crisp sweetness and there is nothing better than a bit of watermelon or round out a sunny summer meal. 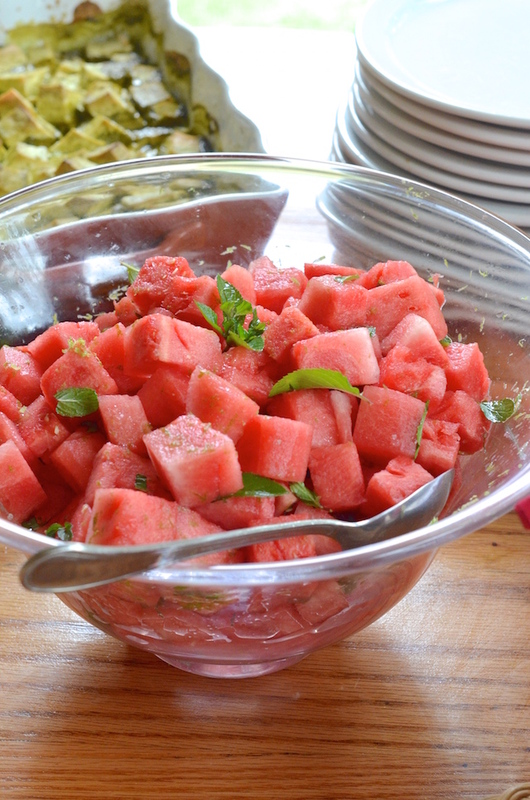 This simple watermelon salad is one of my favorite things to serve when I'm cooking for groups in the summer. 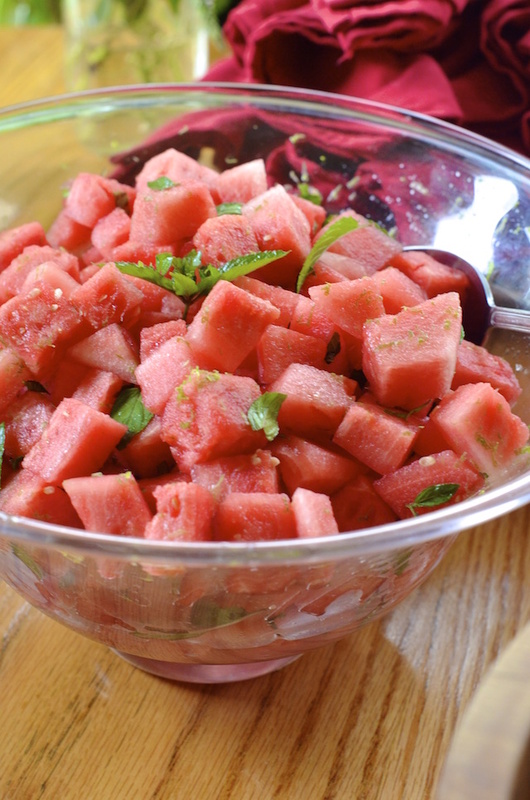 Diced sweet ripe watermelon is tossed with a simple dressing of lime juice, torn mint, honey and a dash of salt. It's easy, gorgeous, and super satisfying. Watermelons are perfect right now, so take advantage and whip this up asap. Peel and dice the watermelon. In a large mixing or serving bowl, whisk together the lime juice and honey. Whisk in half the mint and the salt. Add the watermelon and toss well to coat each piece with the dressing. Garnish with remaining mint leaves and serve immediately.